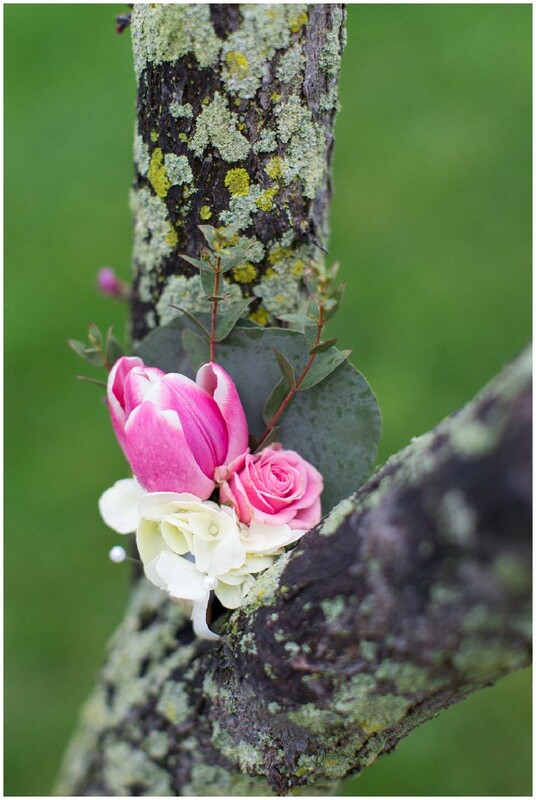 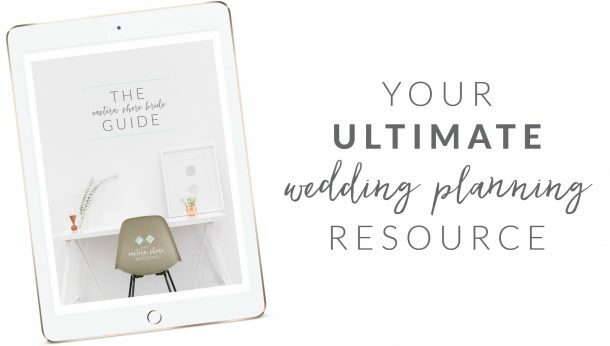 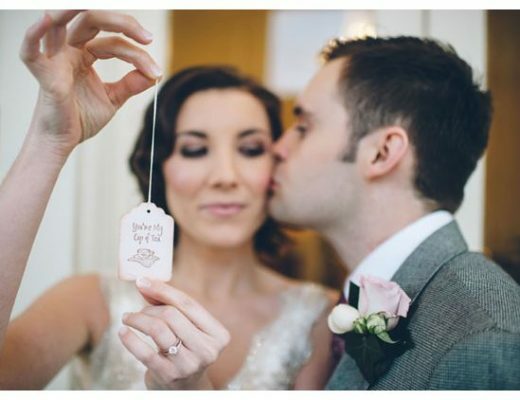 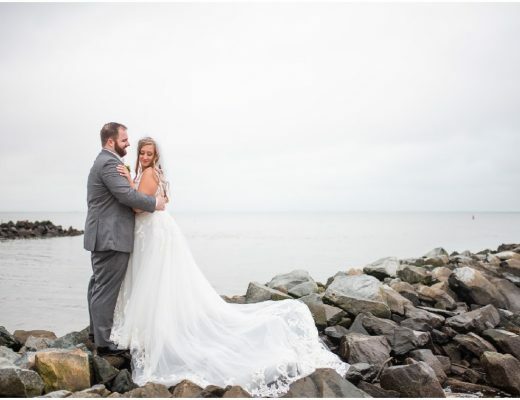 From Laura of Laura’s Focus Photography: Jackie and Mike had been together for 12 years and after their engagement in February, they couldn’t wait another minute to get married! 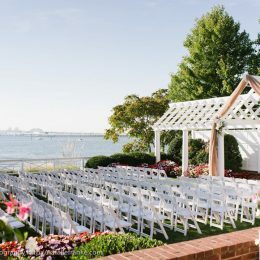 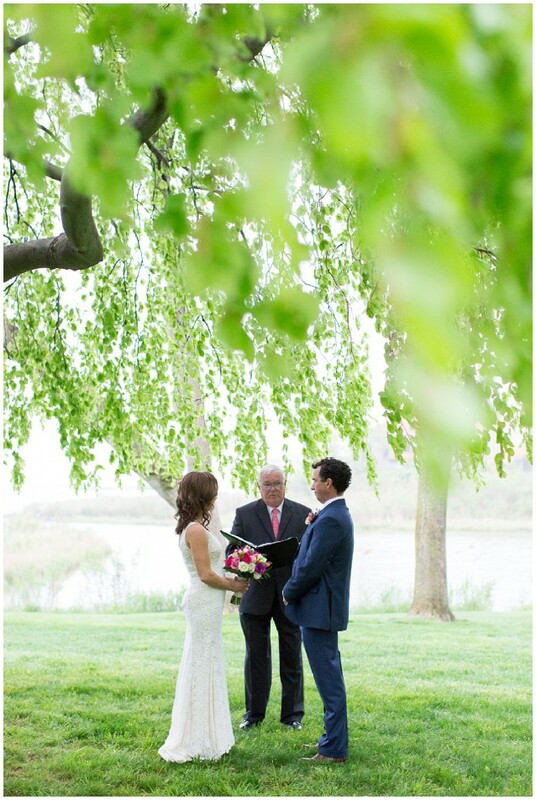 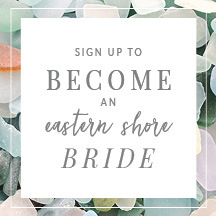 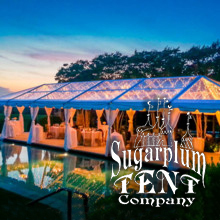 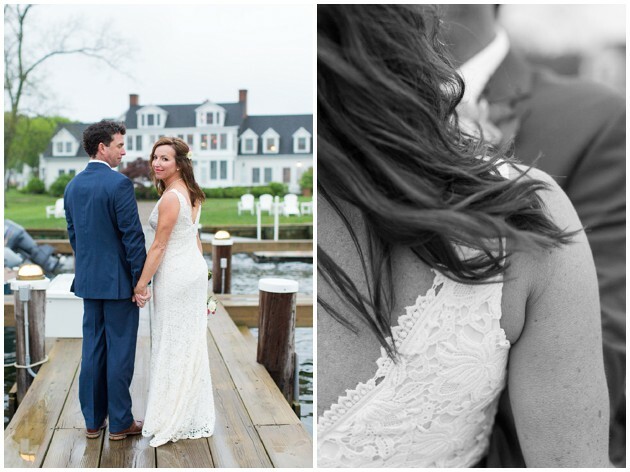 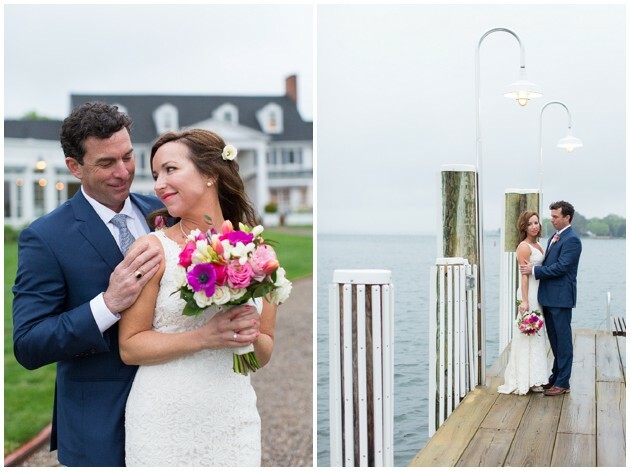 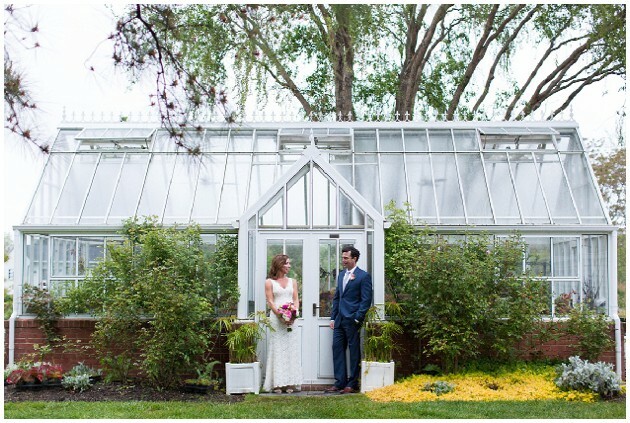 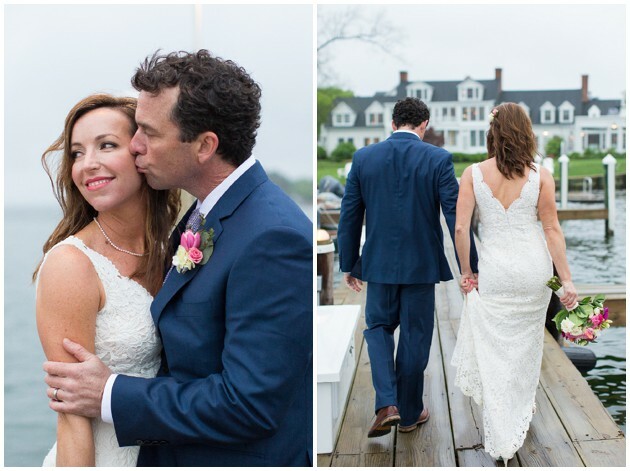 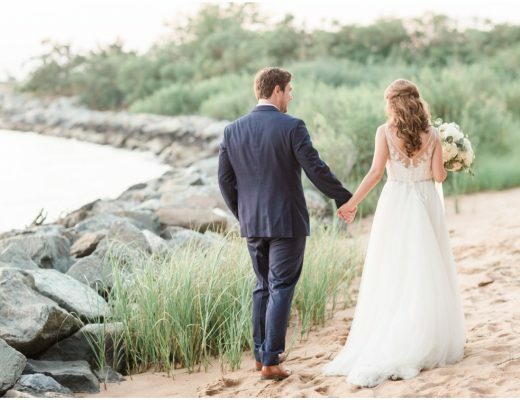 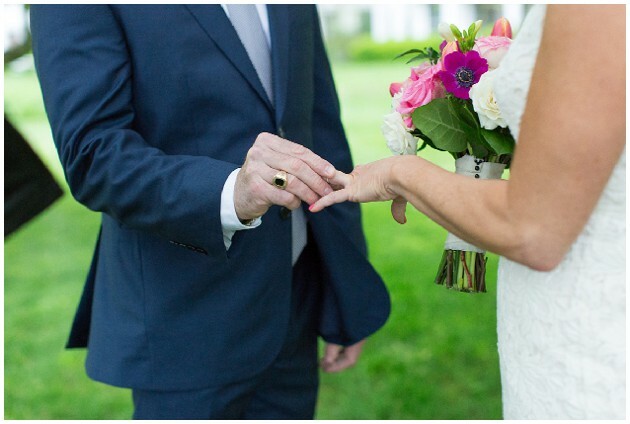 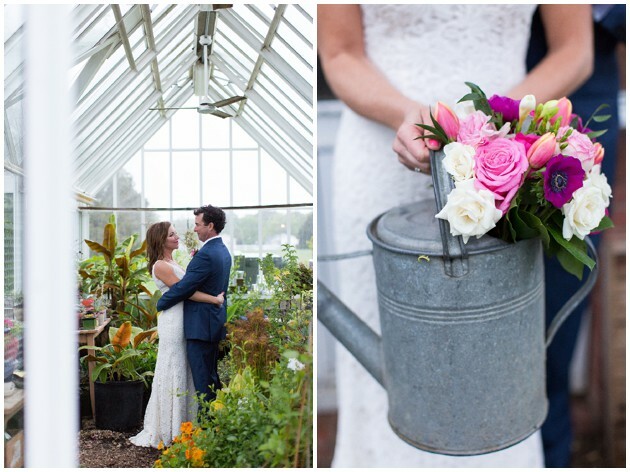 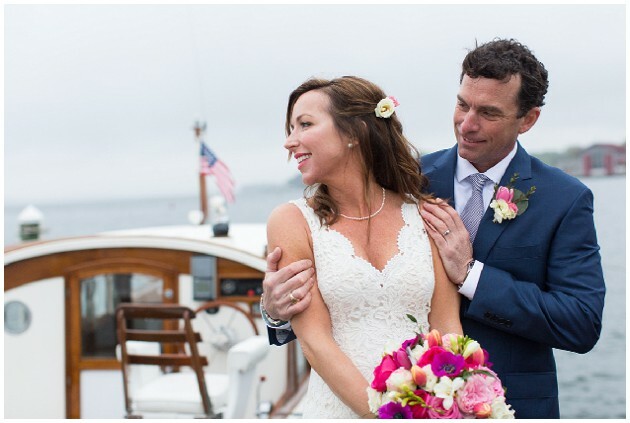 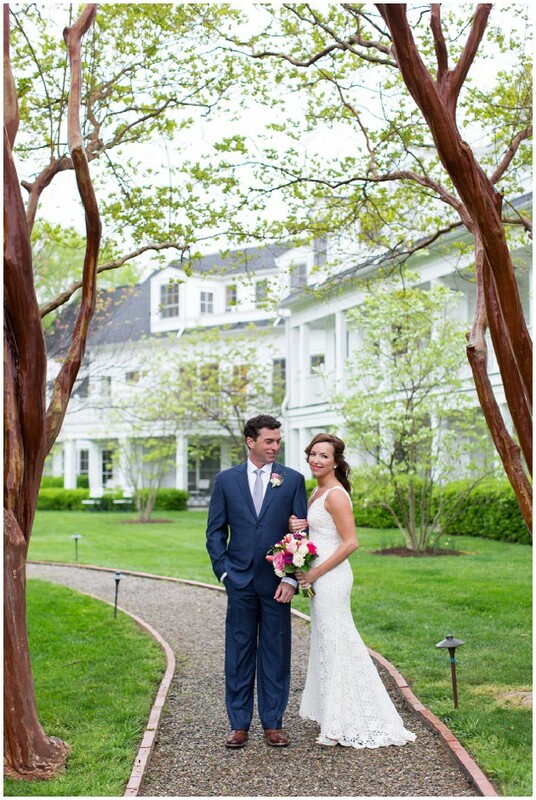 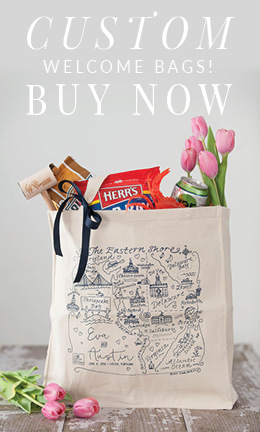 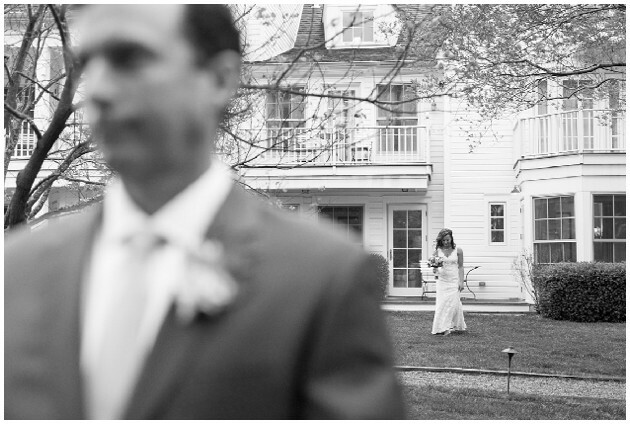 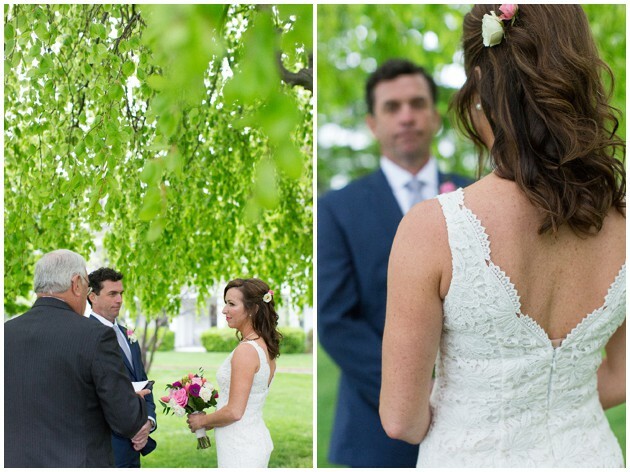 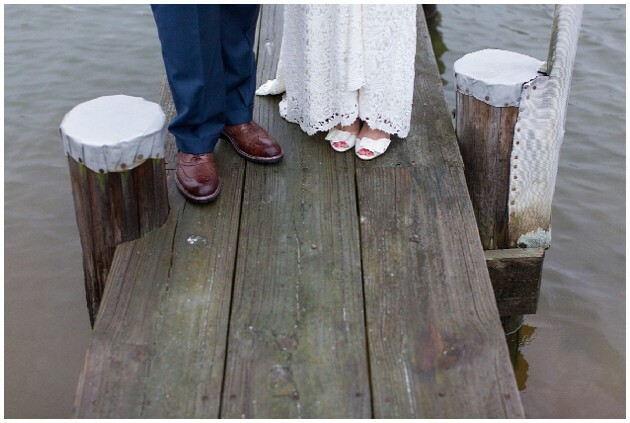 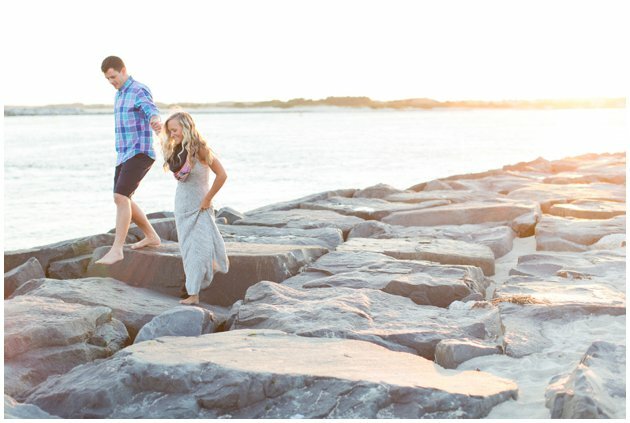 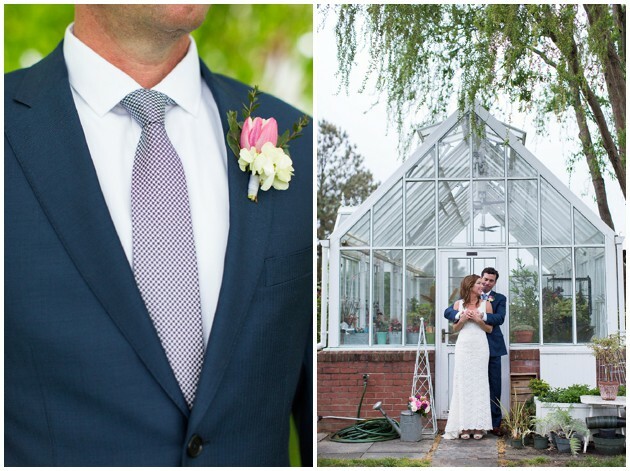 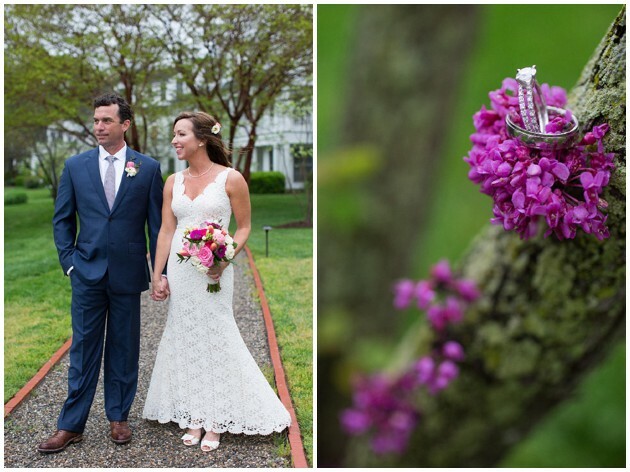 They decided to elope at the beautiful Inn at Perry Cabin in St. Michaels, Maryland, a spot they fell in love with after their first visit last year. 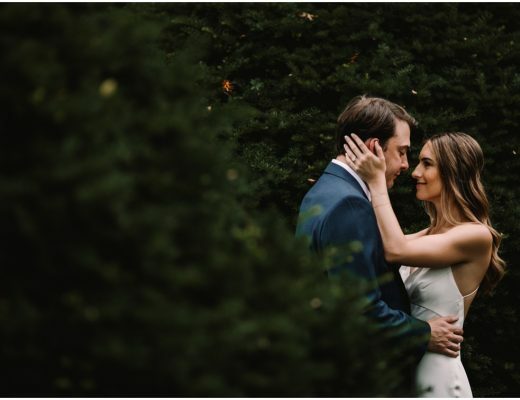 The rain held off just enough for these two to have their intimate ceremony under the trees where they exchanged vows and rings. 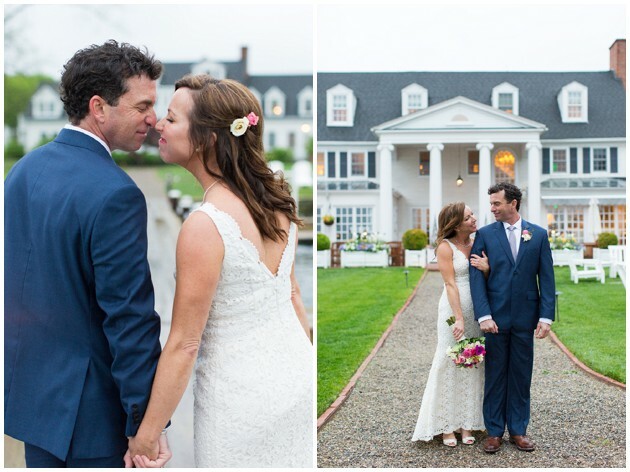 Next, we explored the Inn property for some pictures before they headed off to dinner. 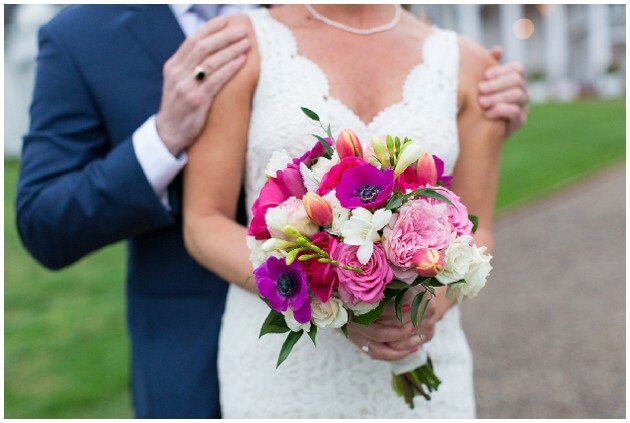 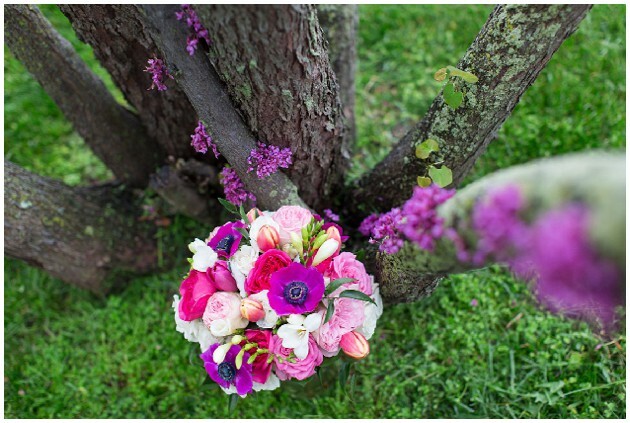 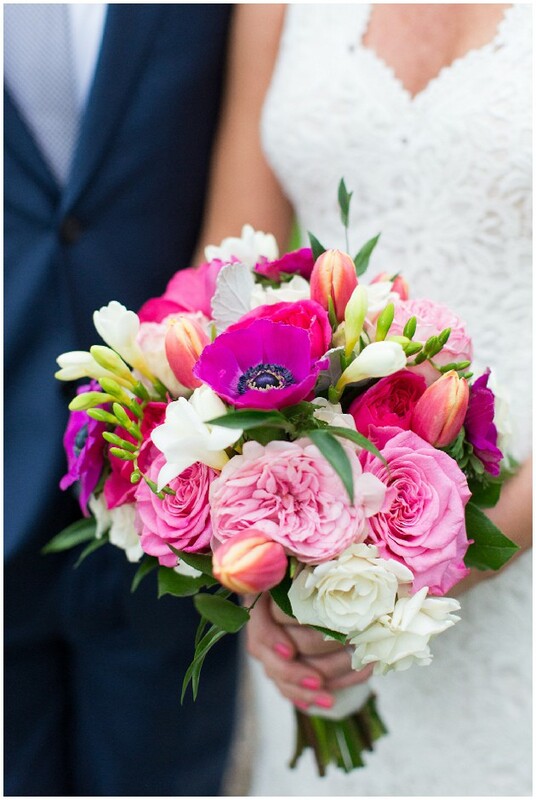 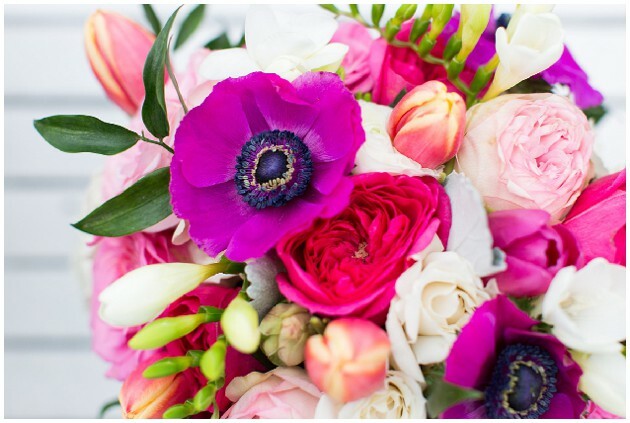 Seaberry Farm put together the most gorgeous colorful spring bouquet I have seen and it looked great against Mike’s blue suit! 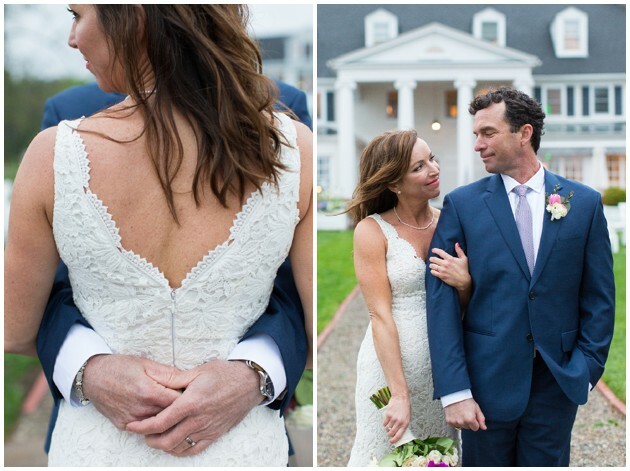 I also loved the detail in Jackie’s Ann Taylor wedding dress! 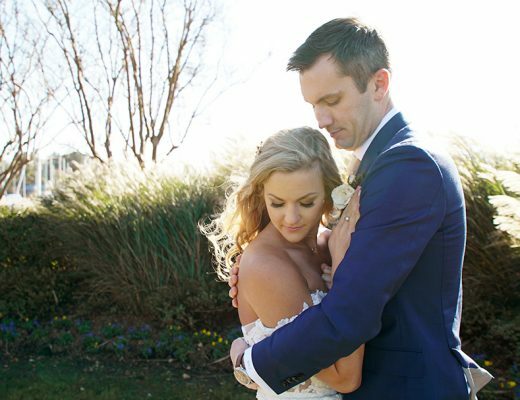 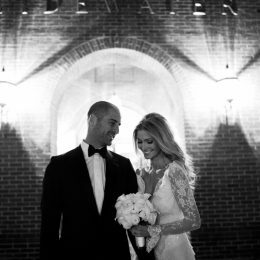 It was an honor to be a part of your special day. 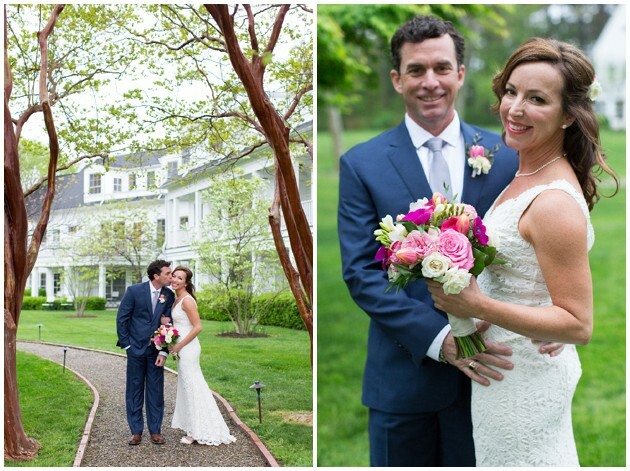 Congratulations Jackie and Mike!